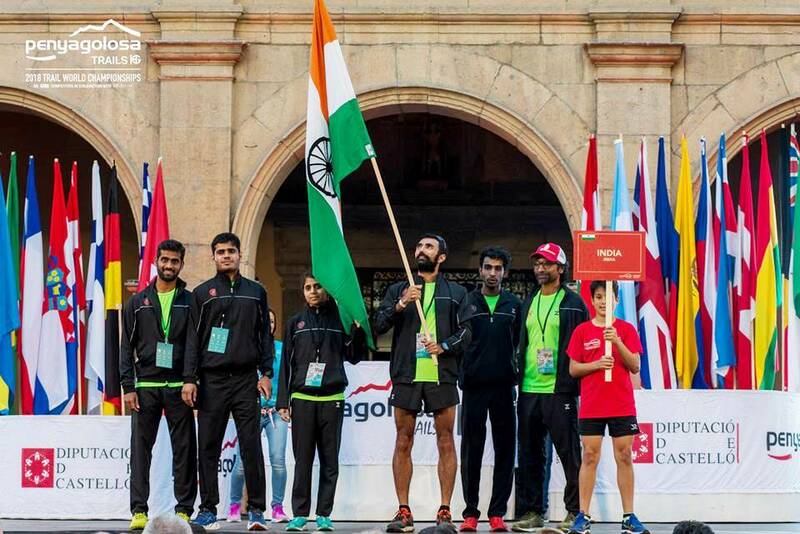 At the recently concluded IAU Trail World Championship in Spain, the Indian team placed 26th in a field of 34 teams. At the individual level, Kieren D’Souza broke into the top 100. He placed 98th as against 195th in 2017. Ullas Narayana similarly moved up from 143rd to 118th. The 2018 edition of the championship was held at Penyagolosa, Castellon de la Plana. According to an official statement from the Athletics Federation of India (AFI), 331 runners from 49 countries participated in the 2018 edition of the event. India was represented by Ullas Narayana, Lokesh Meena, Ajit Narwal, Sampathkumar, Kieren D’Souza and Aakriti Verma. IAU stands for International Association of Utrarunners. As per information on the event website, the course was 85.3 kilometers long with positive elevation of 4900 meters and negative elevation of 3690 meters. There was overall cut-off of 15 hours with separate stage cut-offs. Luis Alberto Hernando of Spain topped in the men’s category, completing the race in 8 hours 38 minutes. In second and third positions respectively were Cristofer Clemente of Spain and Thomas Evens of UK. Among women, the winner was Ragna Debats of Netherlands who finished in a time of 9 hours 55 minutes. She was followed by Laia Canes of Spain and Claire Mougel of France. Kieren, who was the fastest among the Indians, completed his run in 10 hours 59 minutes. The top three teams in the men’s category were Spain, Great Britain and France in that order. In the women’s category, the corresponding teams were Spain, France and USA. The race was technical, and for the Indian runners it was a great experience, the AFI statement said. While 49 countries were represented at the 2018 World Trail Championships, the number of teams was 34 because it takes a minimum of three people to be a team. The consolidated timing of the top three finishers from each team is taken to decide team ranking. 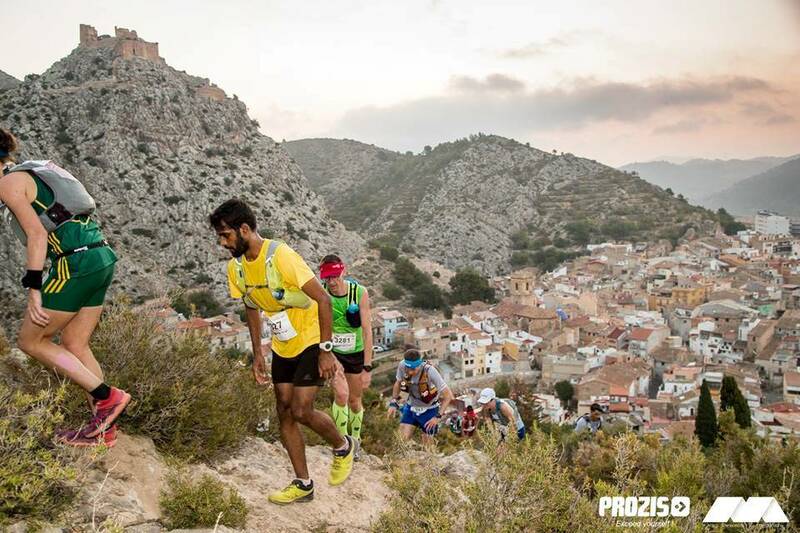 The race in Spain was only the second instance of Indians participating at the IAU Trail World Championship. In 2017, two runners had taken part. To select the Indian team, AFI banked on the points runners had accumulated under the points system of the International Trail Running Association (ITRA), Peter D’Souza, who is a member of the AFI committee overseeing trail running, said. A minimum of 600 points was set as cut off for an Indian male runner to be eligible to join the team and 550 for a woman. To accumulate ITRA points, runners have to run at races registered with ITRA. Aakriti Verma, from Bengaluru who took part in the 2018 edition is as yet the only woman from India to have participated in the IAU Trail World Championship. A HR professional working with Infosys, she has been into distance running for the past three and a half years. Over the last one year her affection has been more for trail running and in that time, she ran seven to eight races on trail at various places in India. She accumulated the ITRA points required to join the Indian team, from these races. The world championship was an eye opener for her. “ It was a great opportunity to learn,’’ she said. She and Lokesh couldn’t complete the race while Ajit completed the race 13 minutes after overall cut-off. Aakriti put her experience in perspective. According to her, the race in Spain was quite technical; the terrain was rocky. In contrast, much of her training and regular running had been on the trails of southern India, which tend to be less rocky and gnarly. As she put it, we typically bring in the addiction for distance borrowed from other formats of distance running and look for a good trail to execute it on. Compared to Europe, technical terrain is less in the trail races of India. This lack of familiarity with technical terrain was the biggest difficulty she faced in Spain. Further, trail races have stage cut-off and at the world championship, the cut-off timings are understandably stiff. In Spain, after more than half the race done, Aakriti had to come off because her pace didn’t indicate that she would be meeting the next cut-off. Her experience in Spain has strengthened Aakriti’s resolve to improve. To add variety to the terrain she runs on, she plans to spend time in Manali, do hikes in the Himalaya and maybe, run in the US. She hopes to take part in trail races in India and overseas. Asked about the visible improvement in ranking he showed (from 195 to 98) in Spain, Kieren said that this year there had been greater clarity in terms of participating at the championship with consequent room to plan and prepare in advance. Running ultramarathon distances on trail is yet very nascent in India and the sport is therefore little known. Participating in events like the world championship requires official representation routed through relevant national sports bodies. New disciplines take time to be understood and backed. In 2017, participants from India got to know that they are going for the championship only two to three months in advance. Full clarity came still later. That limited the time available to train. This year, with the ice broken in 2017, there was greater certainty of participation. “ I was mentally prepared,’’ Kieren who spends most of his time in Manali, said. He not only used the mountain ambiance he lives in to train for the world championship, he also made sure that the event in Spain would be the first overseas event he goes to in his 2018 racing calendar. Sampathkumar who hails from Hosur and lives in Bengaluru has been into running since the past three to four years. He works at Infosys. The first trail running event he participated in was the 2015 edition of Javadhu Ultra organized by Chennai Trekking Club (CTC). Save a race or two, he said he never missed any of the trail events organized by CTC; he credits Peter Van Geit with introducing him to the sport. Since the 2015 Javadhu Ultra, Sampathkumar has run at various trail races in India at locations as varied as Kutch, Dehradun, Shimla and Malnad. He shared Aakriti’s observation that the biggest difference in Spain was the technical nature of the terrain. It wasn’t so much elevation – the ups and downs – as it was terrain. He believes that the closest he came to a similar situation earlier, was at one of the editions of Paradise Trails in Goa (Race Director is Dan Lawson), wherein runner had to navigate by oneself and some portion of the course was technical. But then again, that was a limited stretch. 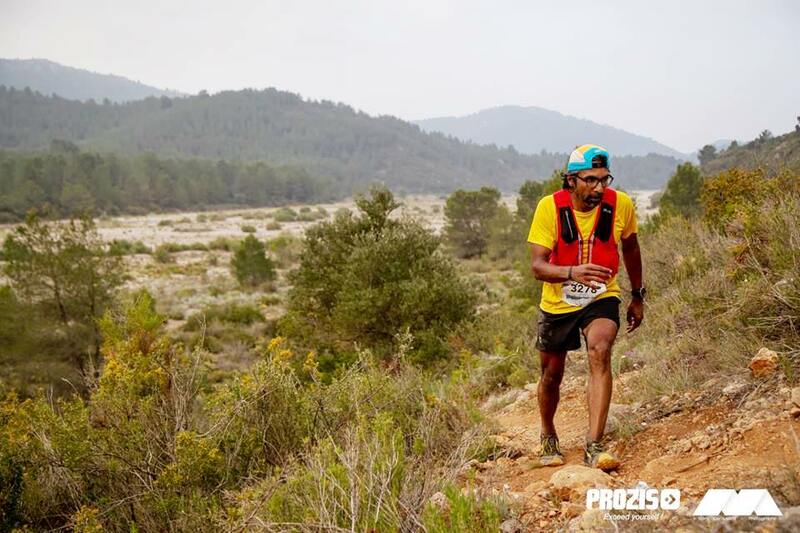 Sampathkumar believes that if Indians are to be ready for courses of the sort seen at the 2018 IAU Trail World Championship, then domestic trail races must begin embracing technical terrain. Further, compared to events overseas, cut-offs at Indian races are lenient and the gap between aid stations are designed to contain stretch. He felt that there are Indian race organizers willing to put together races that are technically challenging but the trail running community has to support such shift and that happens gradually. In India, the tendency to persist with prevailing comfort zone is high. If at least some races in India mimic the conditions found at races overseas, then the possibility of domestic trail running becoming relevant to perform well overseas improves. 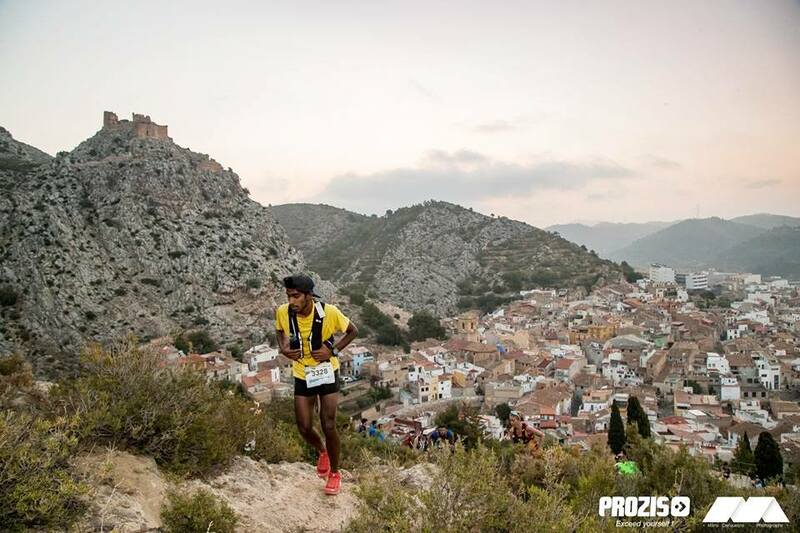 In Spain, Sampathkumar was the last of the Indians to complete the race within cut-off; he finished in 13 hours, 25 minutes. “ I am happy I finished within the cut-off time,’’ he said. He was no stranger to the distance involved. Almost as long as the course in Spain was the 80 kilometer-trail running race in Vagamon he had gone for earlier and which, he covered in approximately nine hours. “ Spain was a great learning experience,’’ he said. According to the AFI statement, the participation of the Indian team was an athlete-funded event. The athletes had to pay for their travel while the AFI ensured their accommodation. It is understood that this format had to be resorted to because disciplines like ultramarathon and trail running are not part of the pantheon of Olympic sports. In the awarding of funds and their subsequent allocation the `Olympic’ tag typically decides priority. At the Olympics, the longest distance currently run is the marathon. In contrast, the world of ultramarathon and trail running is filled with distances that are far longer and terrain that is more varied than what is seen at the Olympics. It is learnt that such funding challenge is not specific to India. Athletes from several other countries too, seek help from sponsors because the sport lacks the Olympic halo. For the 2018 IAU Trail World Championship, Azani Sports came forward to provide the Indian team with kit and Unived provided the nutrition supplements and hydration. Support crew is most essential at an ultra-running event and this year, Renu Narwal and Kapil Malik (thanks to Ajit Narwal), provided such assistance to the team, the AFI statement said. The 2019 IAU Trail World Championship will be held in Portugal.